Is it safe to exercise in low temperatures? What precautions should we take if we do? 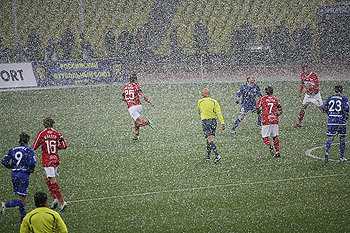 How does sport in low temperatures compare with sport when it is warmer? What feels cold is subjective, but as a rule of thumb, "cold" starts at refrigerator temperatures, 4C / 40F, and "very cold" at freezer temperatures -20C / -4F. Physical activity in the cold can be perfectly safe, you just have to think about things in advance a little more. Stay warm - Very important this one, more so than you might imagine (see below for a breakdown of why). There are two things your clothing has to do in cold weather even more so than at any other time, they are firstly to wick away sweat from your body and secondly to prevent too much of your body heat from escaping. Shorts and short-sleeved tops might give an image of ruggedness: "Pah! - I laugh in the face of snow and ice, see my bare arms and legs" ...but that's not good really, any fool can be uncomfortable. You need to make sure your body can function efficiently by being at the right temperature. You may perceive that your arms and legs are not cold and uncomfortable, but they will be cold and that will affect the performance of your muscle and nerve chemistry irrespective of what your attitude to them is. Layering is the answer, different layers have different functions. 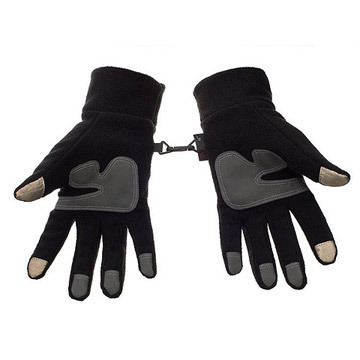 A thin inner layer next to the skin to take sweat away so it doesn't get cold too quickly when you stop and then additional layer/s as you need them. For the lightest weight and maximum efficiency, a thin windproof outer layer comes next, ideally with some way of making it loose to lose heat when needed but then with the ability to batten down the hatches and retain heat if it gets cold and/or if you stop. A pocket is useful for gloves and a lightweight hat. 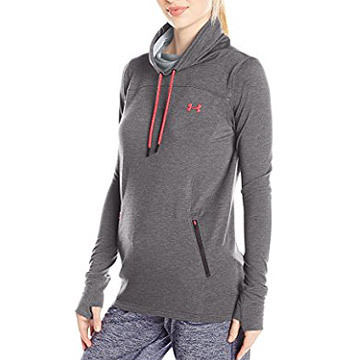 Further insulation is probably unnecessary during activity, but can be provided most efficiently by a lightweight close-fitting fleece that can go between these two layers, or carried in a backpack to prevent cooling when you stop. 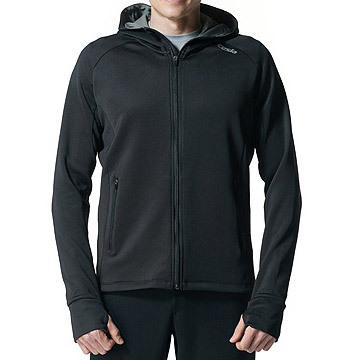 Fleece as an outside layer won't do much against the wind, the windproof layer will give more warmth for less weight. 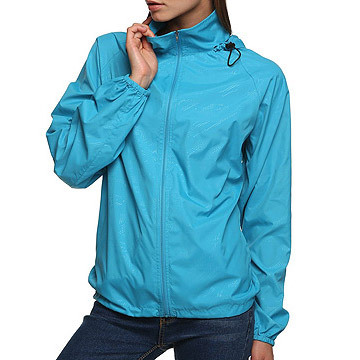 Softshell and hardshell outer garments can be a good compromise as they provide good windproofing and some water resistance with a degree of insulation but not too much. Staying warm when at rest is important too - Make sure you have an insulating layer to put on when you stop if you're not going to be able to get indoors. Dress in layers so you can just pull something over the top, lightweight hats are must haves when resting, they make a big difference for minimal size and weight. Hydrate properly - remember to do this and make the effort to. Filling up before you go out doesn't really help unfortunately due to something called "cold diuresis" which makes you need to pee when you go out and get cold after being warm indoors. Prepare nutritionally in advance - if you are likely to be exercising for a long time, 60 minutes plus. Have a small meal with starches 2-3 hours in advance so they can release sugars slowly. Snack on carbohydrate rich foods to top up if you are going to be exercising for very long, like you should anyway, but more so. Layering for warmth, comfort and versatility is the way to go in cold weather. It doesn't just mean multiple layers, but layers with different functions. 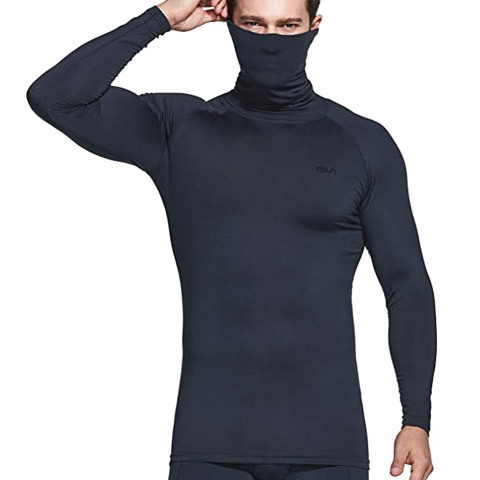 The base layer should be able to wick sweat away from the skin so it doesn't lead to chilling when you stop. 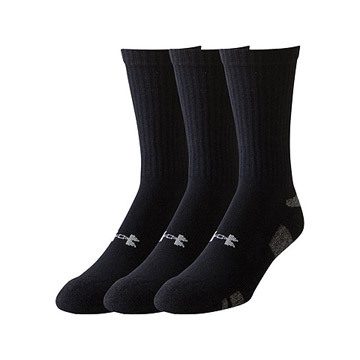 Merino wool or synthetics the the go-to fabrics, avoid cotton, it hangs on to moisture and gets cold and clammy. Leggings or tights are good under a wind proof outer layer too. 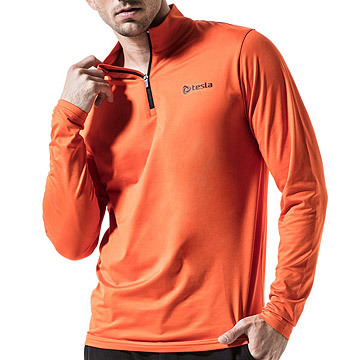 An insulation layer to go over the base layer when it is cold but not windy, or between the base and shell in cold and windy conditions, also great for putting on when to stay warm between activities. 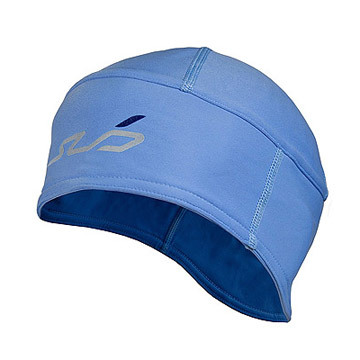 This should be soft and pliable for the best insulating properties, softshell or hardshell provide some wind and rain resistance but at the cost of less insulation and some degree of stiffness. 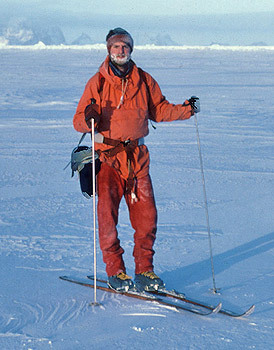 A shell layer can be used over the base layer with or without extra insulation to keep the wind and (some) rain off. The lower the temperature the greater the wind chill for a given wind speed. In cold weather you need to keep the wind off, a thin uninsulated shell can make a big difference by doing this for little weight and bulk. The extremities can lose a lot of heat, not to mention the affect on comfort if they get very cold as your body decides it's too difficult and costly to keep them warm. 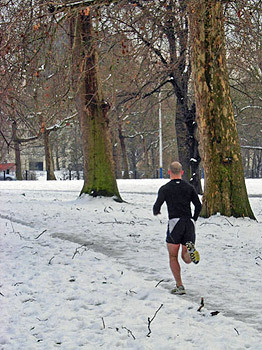 Who should avoid exercising in cold weather? Exercise in the cold is exercise under more physiologically stressful conditions, if there are any issues why someone should take care when exercising, these are exacerbated by colder temperatures. In particular it is not good to start to begin to get fit outdoors in the middle of winter if you are not used to much exercise at all. You need to be reasonably fit in the first place so the extra demands on your body don't become potentially harmful. Heart conditions- cold temperatures put extra strain on the heart. Asthma - can be triggered by cold air rapidly filling the lungs and airway. Exercise induced bronchoconstriction - also known as exercise-induced asthma, or E.I.A. This can occur in people who don't have asthma. Raynaud's disease - a condition restricting blood circulation to the peripheral parts of the body that can lead to an increased chance of developing hypothermia. Low temperatures put a greater load on your metabolism - As temperatures fall, so blood pressure increases as blood is taken away from the skin surface increasing the amount in the core. This puts extra strain on the heart. Think of it as the same volume of fluid flowing through narrowed pipework. As the body loses more heat, it has to work harder to maintain a stable temperature by generating more heat. The most easily and quickly metabolized fuel, glucose, is used for heat generation first over use for muscular contraction. Even before you start to exercise in the cold, your body is working harder than normal just doing nothing much other than trying to stay warm. Colder muscles are less efficient muscles - It's a simple case of the effect of temperature on chemical reactions, when it is cooler, reactions take place more slowly, the rule of thumb is a halving of reaction rates for a 10C (18F) fall. Muscular contraction is a series of chemical reactions. When we think of our "normal body temperature" this actually means the core temperature, brain, heart and major organs, this is what we keep constant. The rest of the body works on a "nice if we can" basis. Ideally the whole body is kept at "body temperature" but as the temperature falls it becomes increasingly difficult to do this for all parts and so those parts furthest from the core cool down most as they are losing the most of the valuable heat. Arm and leg muscles in particular are affected by falling temperatures. Too much fast twitch activity and not enough slow twitch leads to extra lactate production. Muscles have a mix of fast-twitch and slow-twitch fibers, in normal aerobic exercise the slow fibers which have much greater stamina do most or all of the work. For short bursts of energy, the fast fibers get brought in for extra speed and/or power. When muscles operate less efficiently due to colder temperatures it's a case of "all hands on deck" for the muscle fibres. Fast twitch muscle fibers that wouldn't be needed much of the time at higher temperatures have to help out to generate the required power at lower temperatures. These fast twitch fibers produce lactic acid that the slower ones wouldn't if they were working more efficiently. Lactic acid means an increased metabolic load on the body which means less efficiency and getting into oxygen debt which has to be paid at some point, either by stopping or reducing output. Colder muscles mean less efficient, weaker muscles with less stamina. Increased danger of pulling muscles - Warming up before exercise is important to prevent pulling muscles, low temperatures mean that muscles cool down faster and are more difficult to warm in the first place. Slowed reaction times due to cold nerves - Nervous impulses in a similar manner to muscle contraction are the result of a string of complex chemical changes. As the temperature falls those chemical changes take place more slowly and so reactions (responses) are slower. Carbohydrates are used up more quickly, so stamina decreases - Carbohydrates are the body's preferred fuel, readily and quickly metabolized and mobilized from stored glycogen in the liver and muscles. As energy consumption increases in cold conditions, so these energy stores are used up more quickly. Fat and protein oxidation for energy are not increased in the same manner as carbohydrates, taking longer to be mobilized. 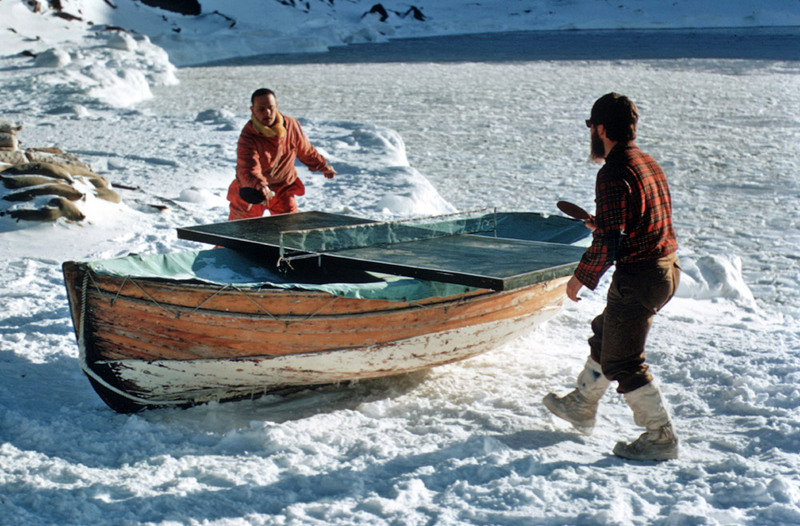 The net result is that available energy stores are depleted more quickly in cold conditions so decreasing stamina. Hydration - When it's warm and you sweat, it makes you feel thirsty as a reminder to replace the lost fluid. In the cold, this mechanism doesn't work so well and counter-intuitively it can be more likely to become dehydrated when exercising in cold than hot conditions. It doesn't help that cold drinks in cold conditions aren't that tempting, especially when compared to a refreshing cold drink in the heat. There is usually significantly less water loss from sweating in the cold. Water loss from breathing however is significantly increased. Warm air holds much more water vapor than cold air, so when warm air is breathed in it has a lot of moisture already. When you breathe in cold air, it has less moisture of its own on the way in, even if external conditions are quite damp. It's nice and warm inside your body and so the air gets warmed up and topped up with moisture from your respiratory system. The net result is a much less obvious loss of water and less immediate desire to drink to top up. You should be aware of this and make sure you hydrate during exercise in the cold as you would when it is warm. Exercising in very cold conditions especially below freezing point can pose problems with cold related injuries such as frost nip, frost bite and hypothermia. Most of the time when active, you will be generating sufficient heat to avoid these things, though trial and hopefully not too much error is the way to go by not getting too far away from home to start with before you have your clothing sorted. Hypothermia can easily happen above freezing point, it occurs when the core body temperature falls below normal, mild hypothermia is easy to develop, especially when cold is combined with wet conditions. Hypothermia - A serious situation where the temperature of the body core falls from 37C, down to 35C or less, only a small drop. Initially you will be aware of this with plenty of warning from shivering, numb extremities, reduced dexterity and feeling miserably cold. The remedy is of course to warm up, put more clothes on or just go indoors. More on hypothermia. Frost nip and frost bite - These descriptive conditions can physically damage bits of your body. They both occur when blood flow slows to an extremity to prevent heat loss. That part is beginning to be sacrificed for the greater good of the whole, you need to do something about it asap! Frost bite - more seriously, ice crystals can form inside body cells killing them in the process, in a similar manner to burns. Superficial frostbite is recoverable though can be intensely painful as the nerve endings are still intact and registering the damage. Deep frostbite can lead to tissue loss of fingers, toes and even parts of limbs. Wind chill - A breeze on a warm day may be welcome and will make little difference to comfort when outdoors. At colder temperatures however the effect is disproportionate and becomes more so the colder it gets. If it is calm when you first go out, don't assume that it will remain calm and be aware that a small increase in the wind will have a large effect on its ability to cool you down. Burning fat - colder temperatures mean you burn more calories to stay warm. This would work to lose weight if you ate the same amount, except we tend not to. So of theoretical interest unless you are happy (or able to tolerate) feeling cold most of the time. There is some evidence that exercise in the cold burns fat more effectively than at other times of the year. Picture credits, copyright pictures used by permission: Table tennis in Antarctica - NERC/BAS / Football in the snow - Amarhgil via wikmedia commons, used under Creative Commons license 3.0 / Thermal image - Pyh2 via wikmedia commons, used under GNU Free Documentation License, Version 1.2 / Runner in park - Stephen McKay via wikmedia commons, under Creative Commons Attribution Share Alike 2.0 Generic license.